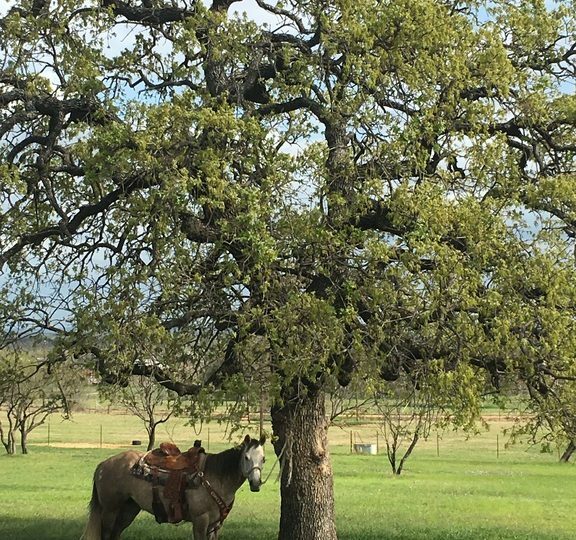 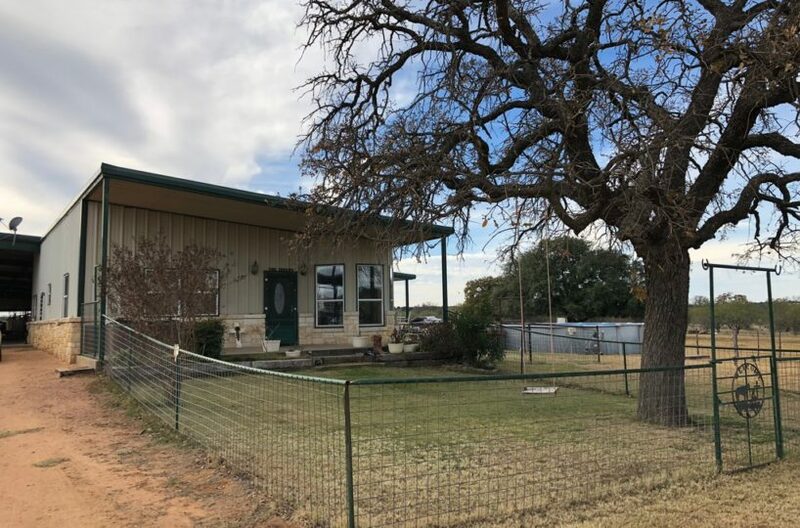 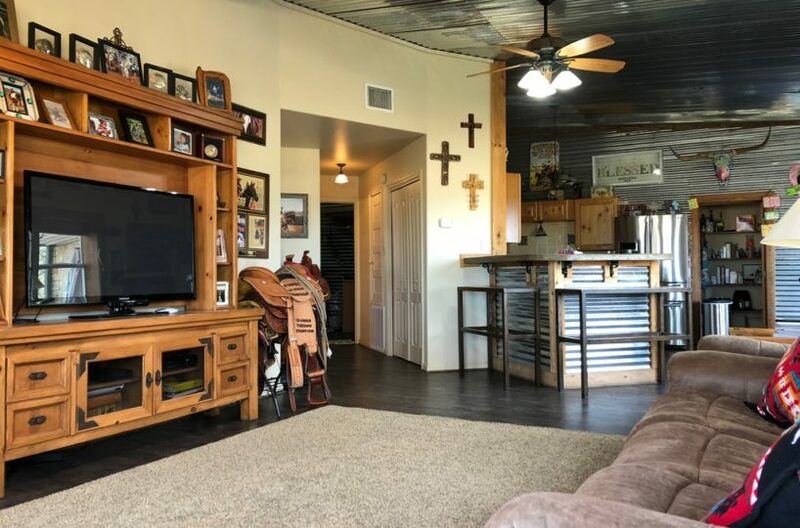 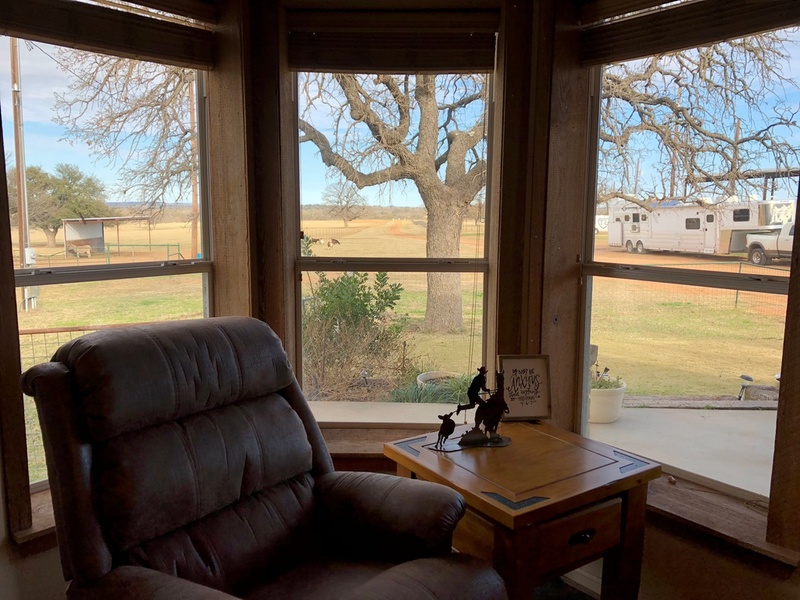 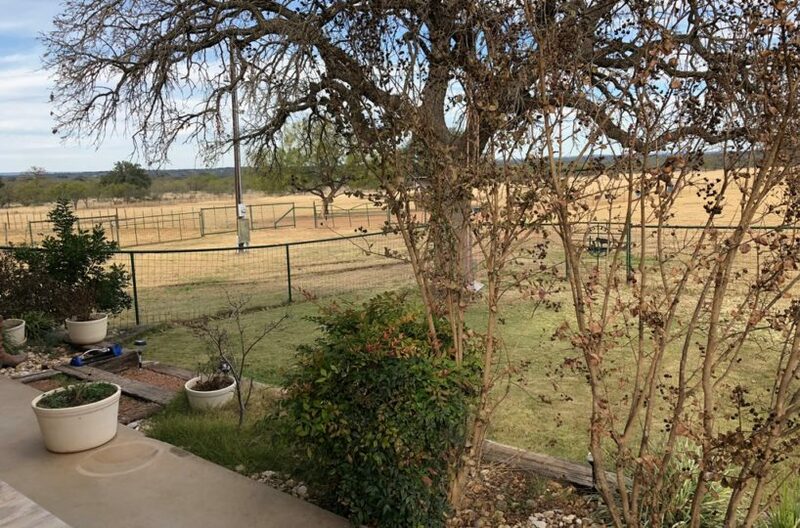 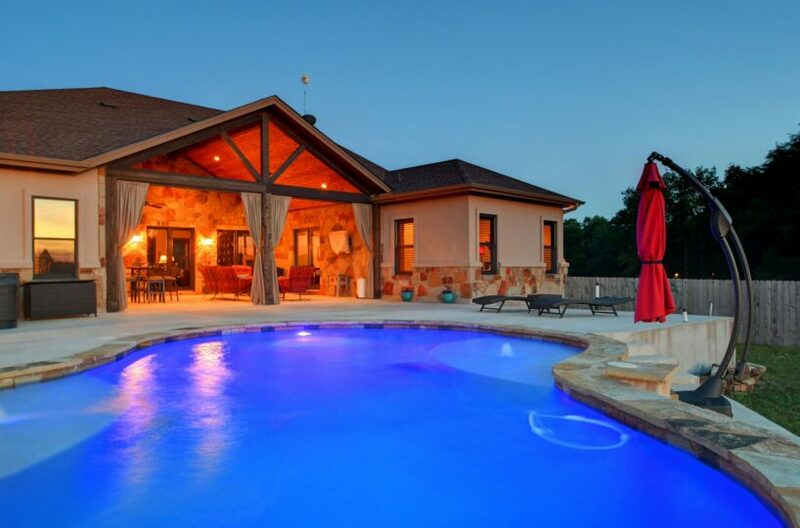 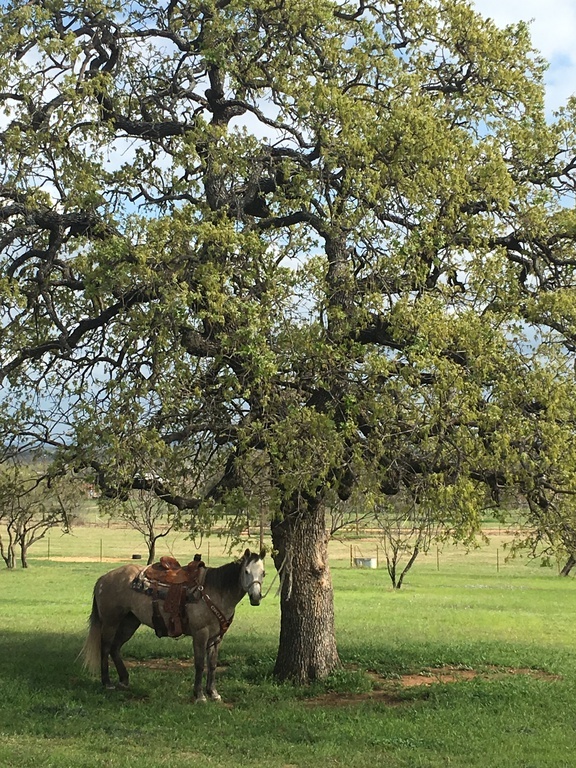 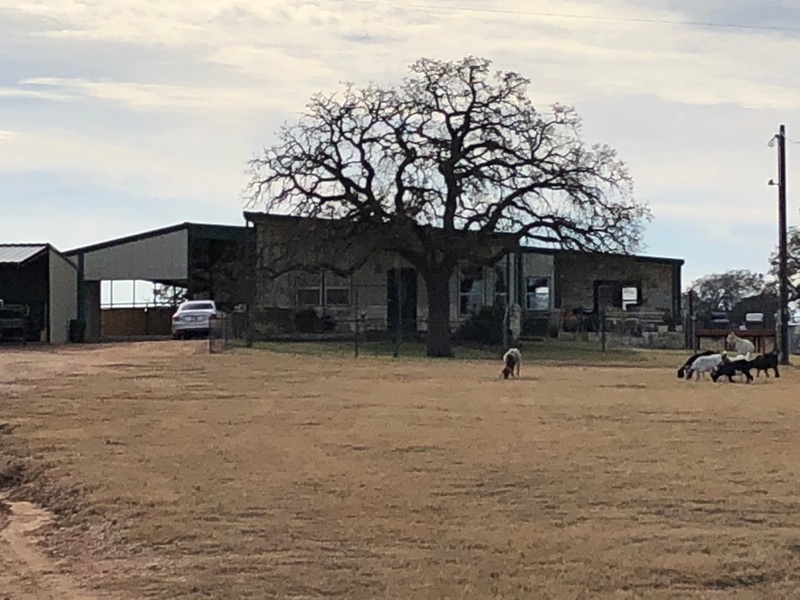 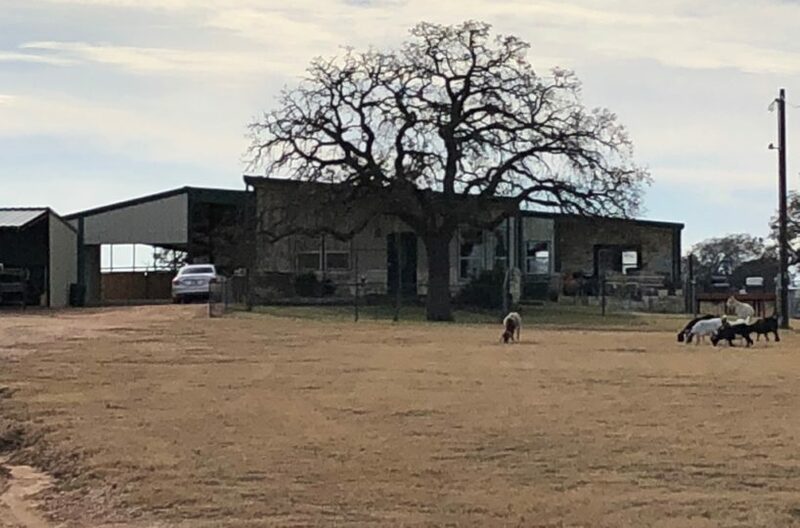 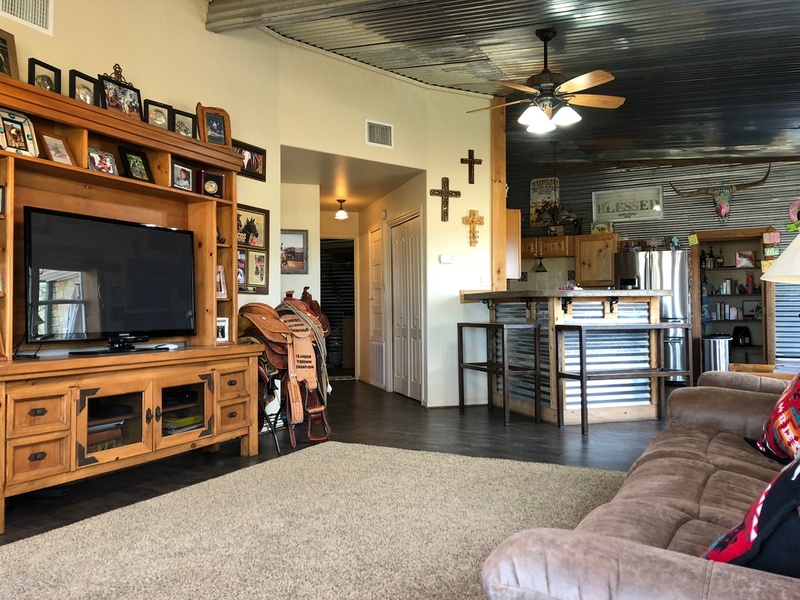 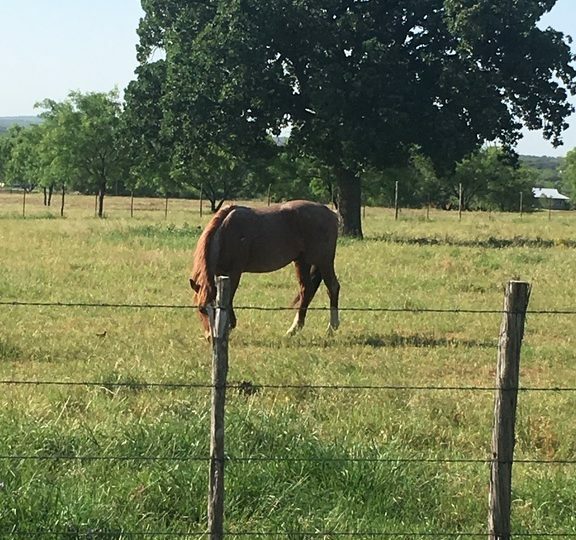 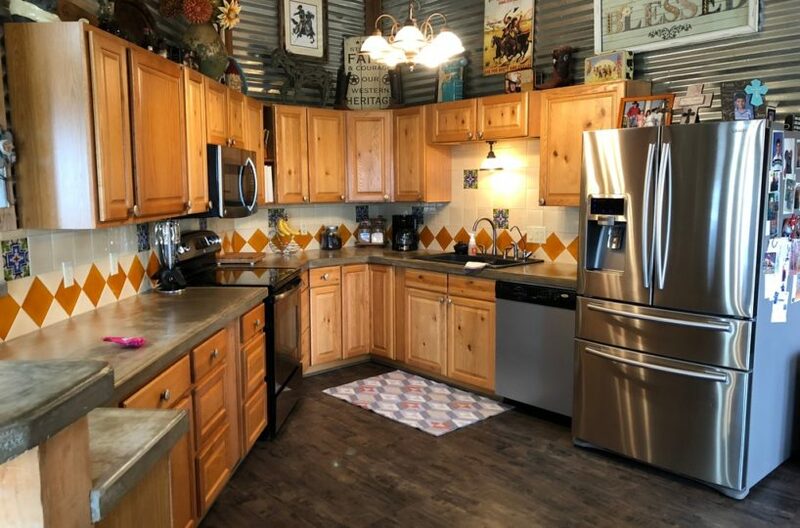 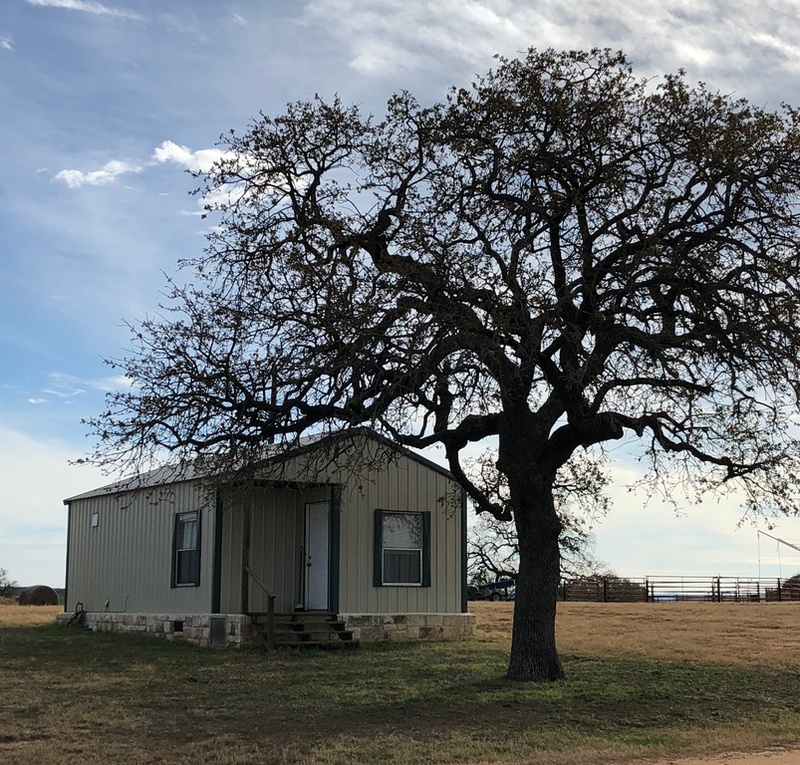 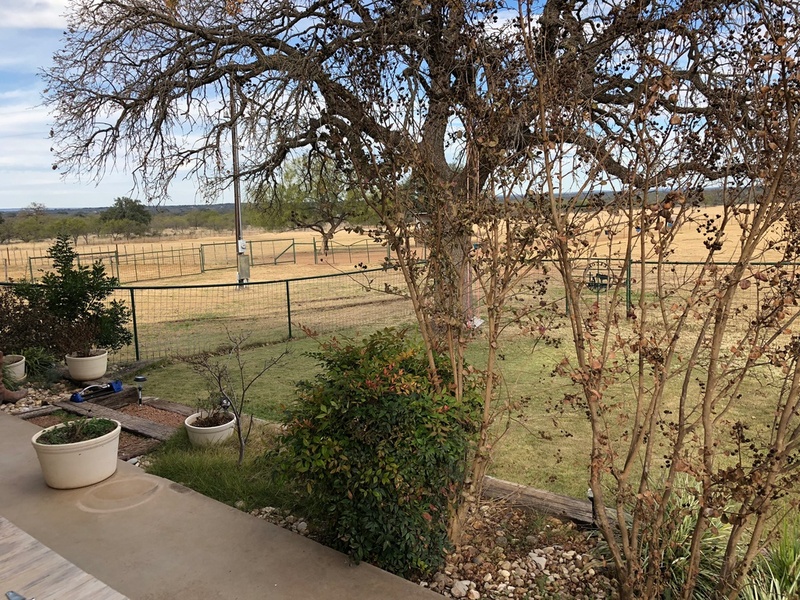 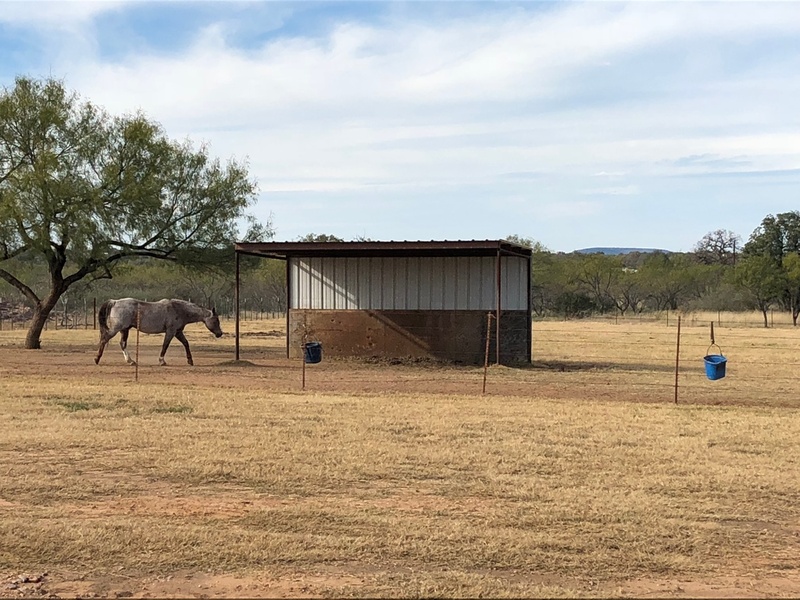 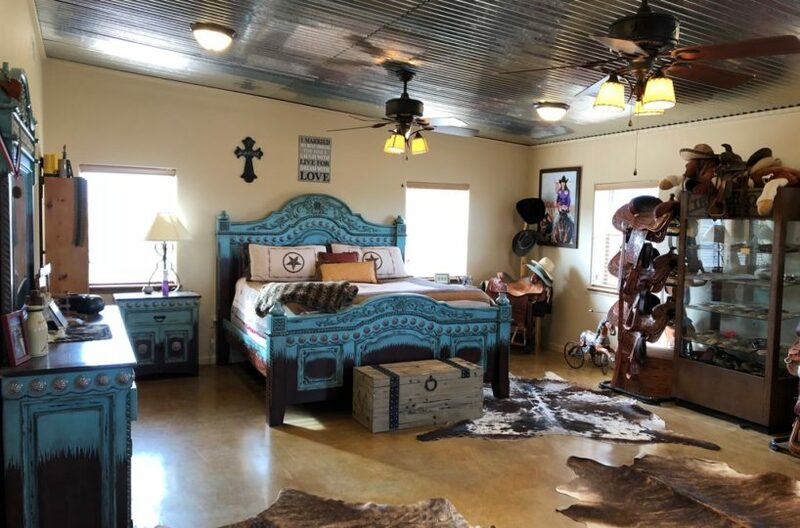 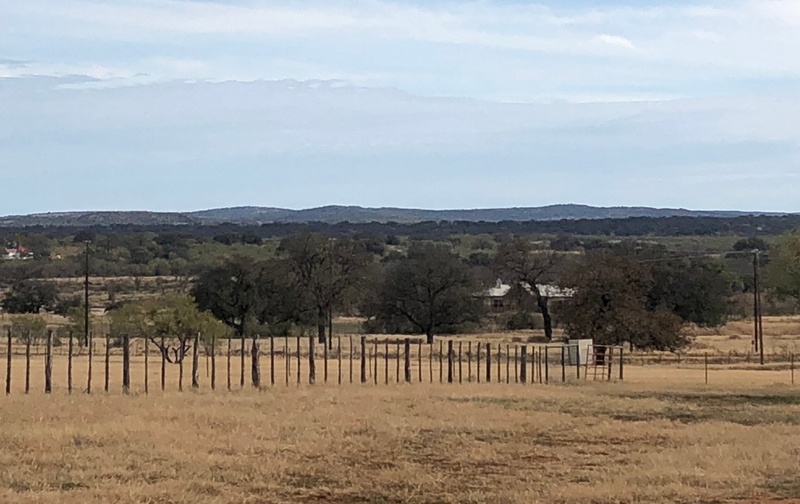 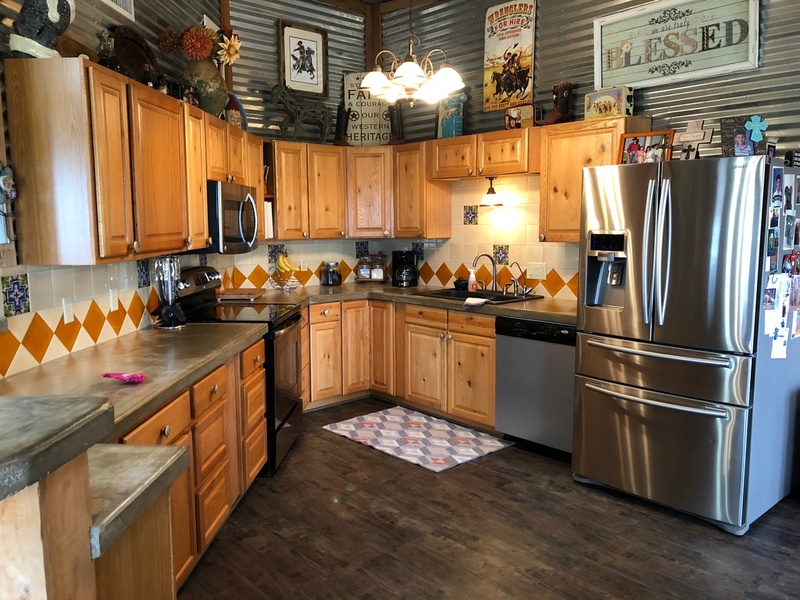 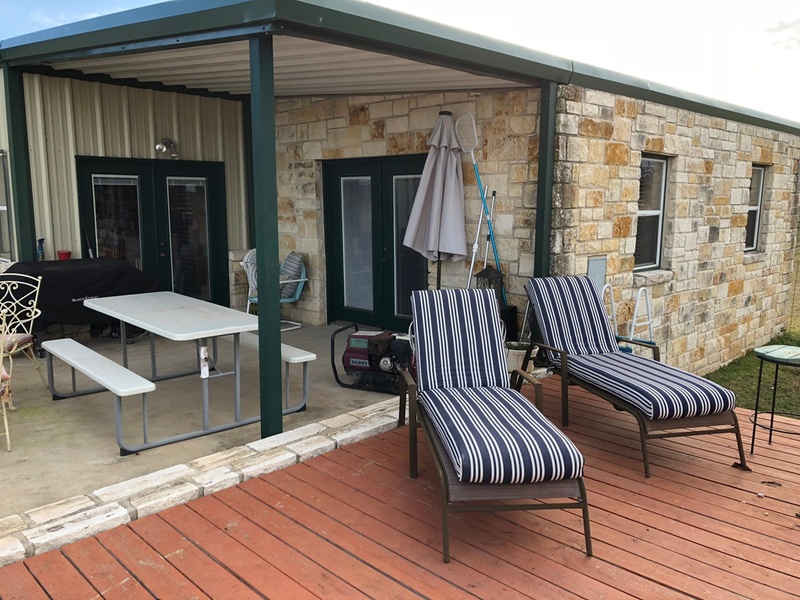 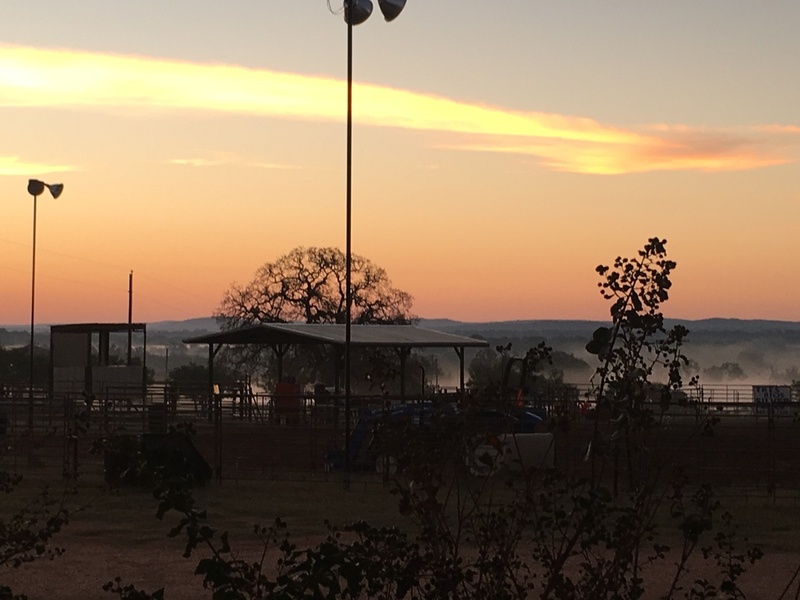 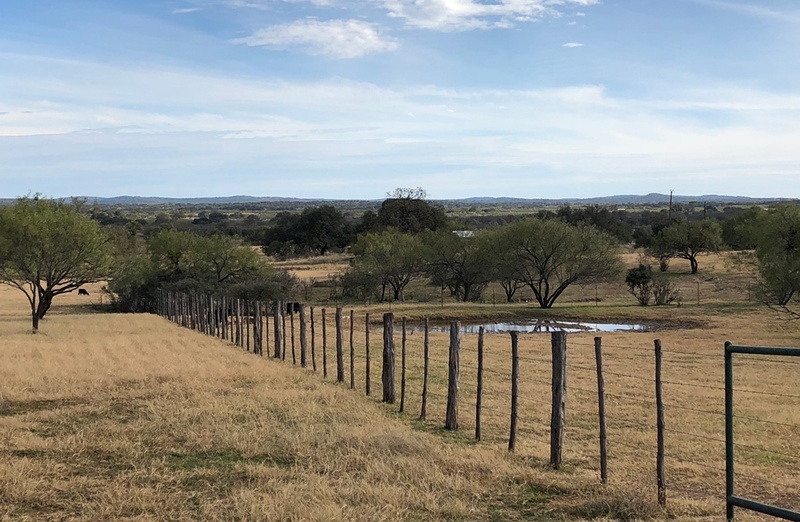 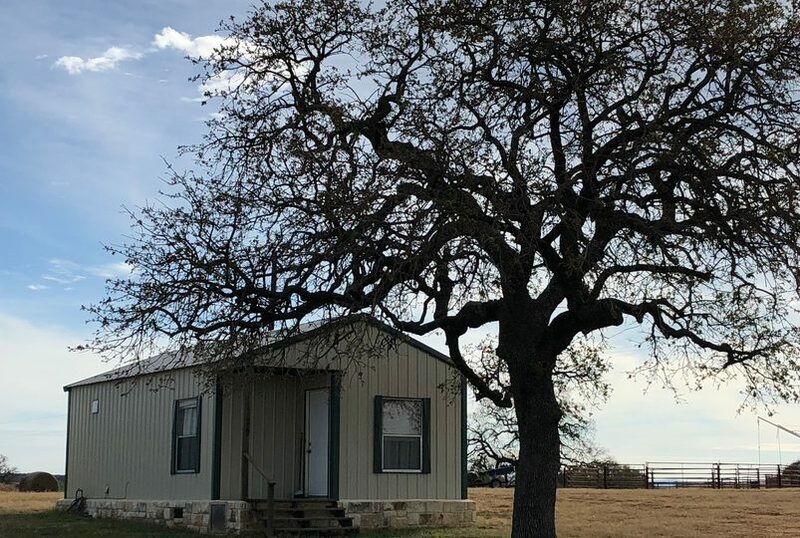 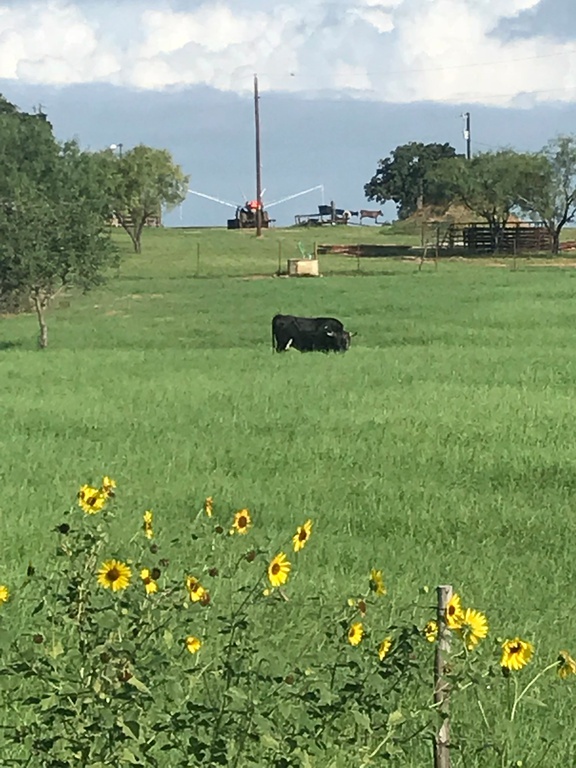 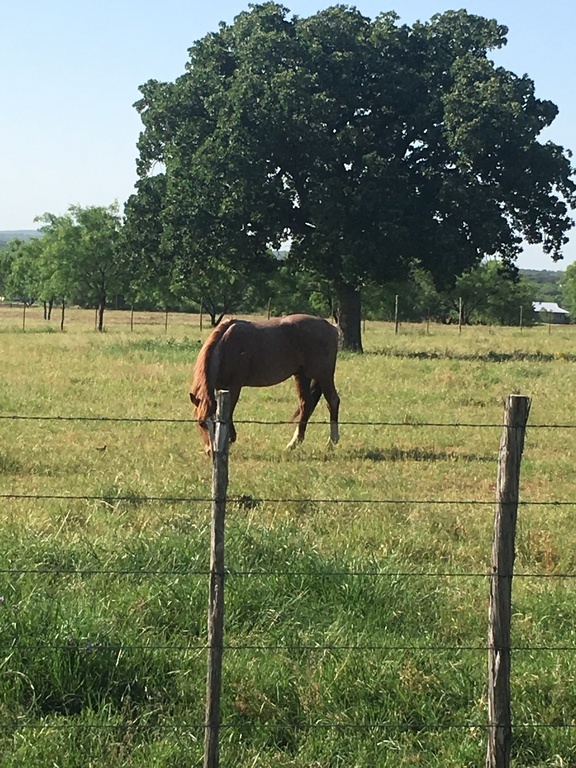 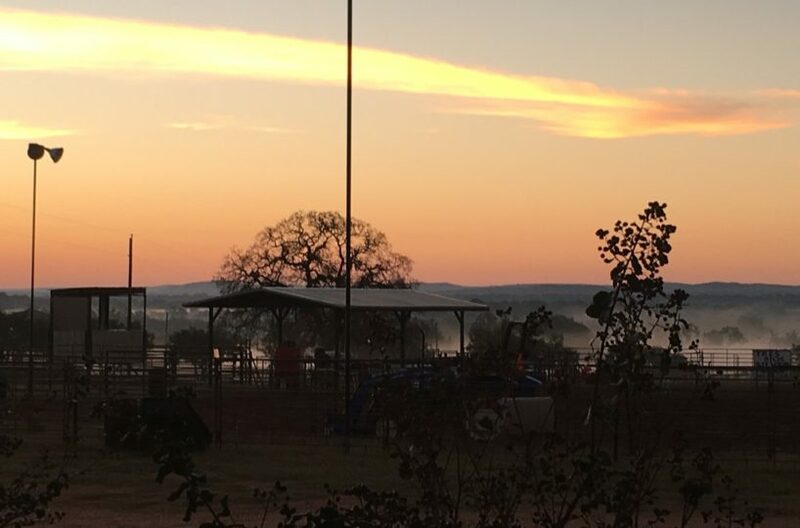 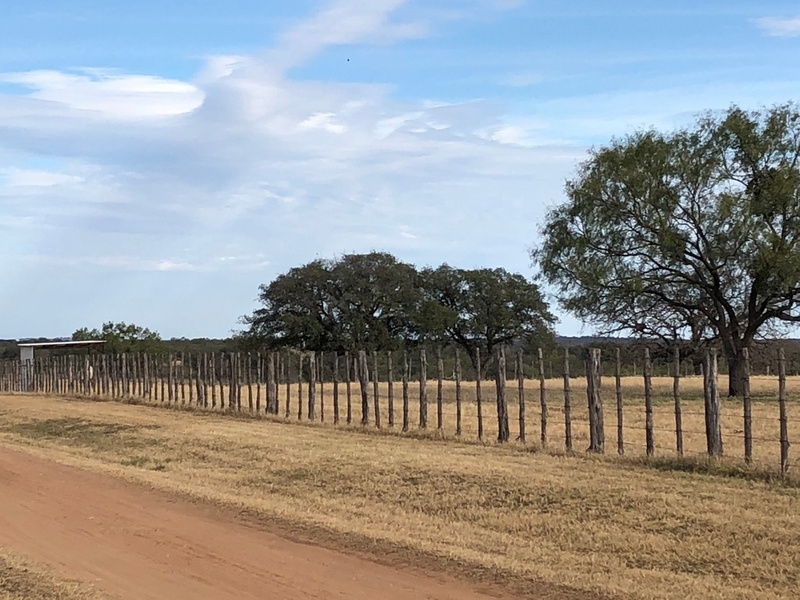 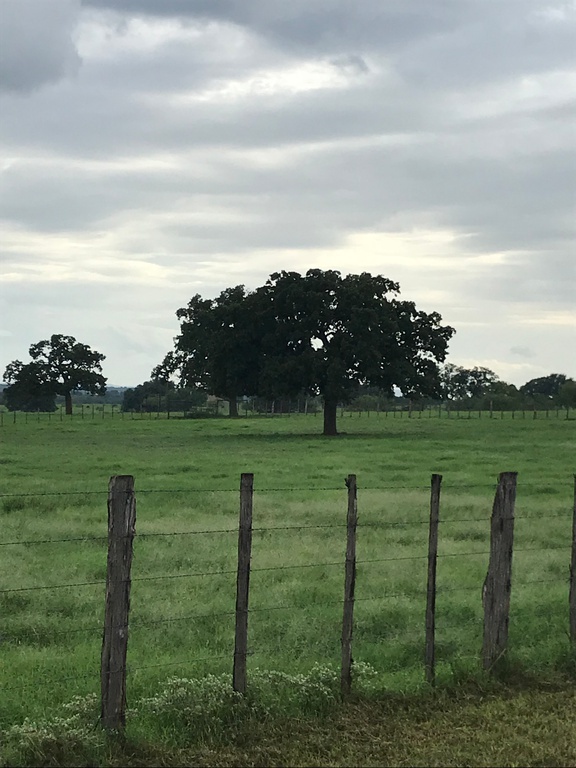 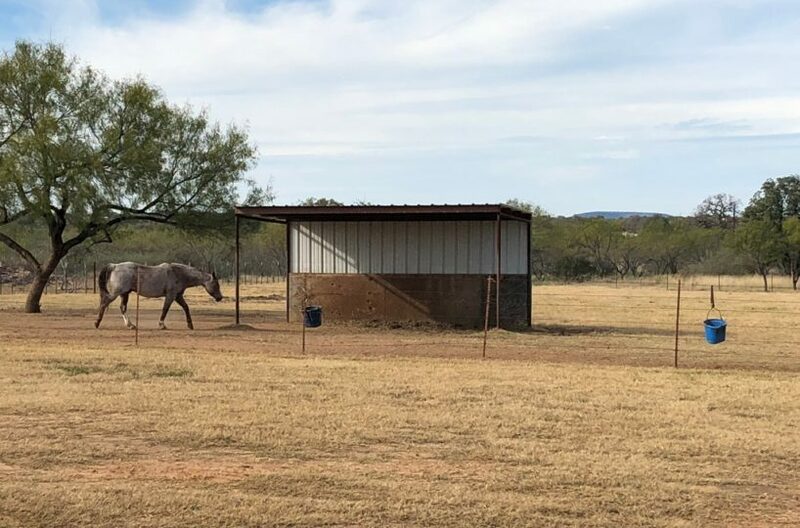 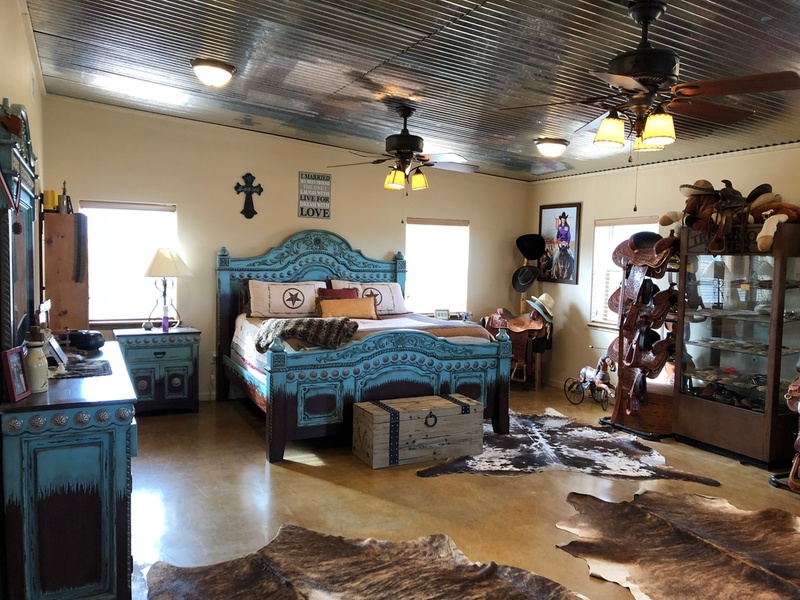 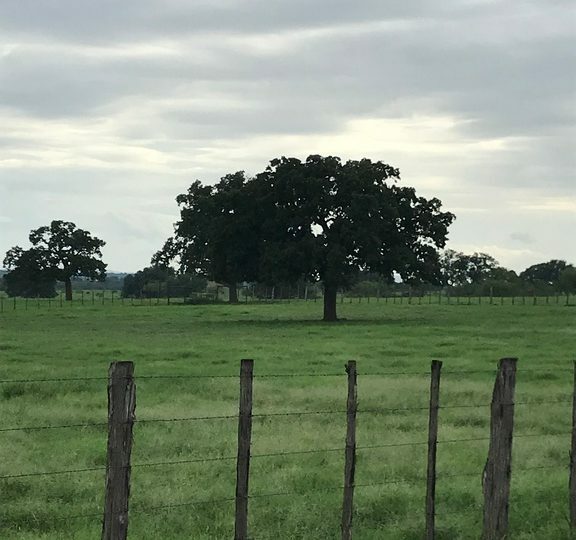 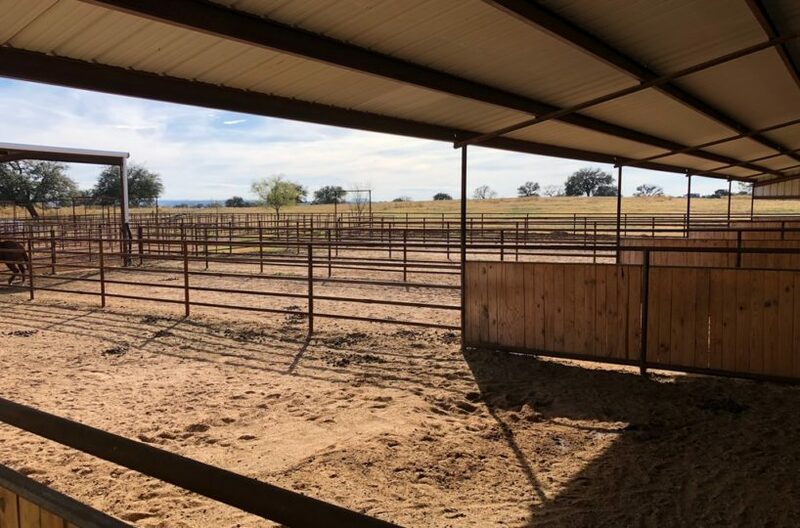 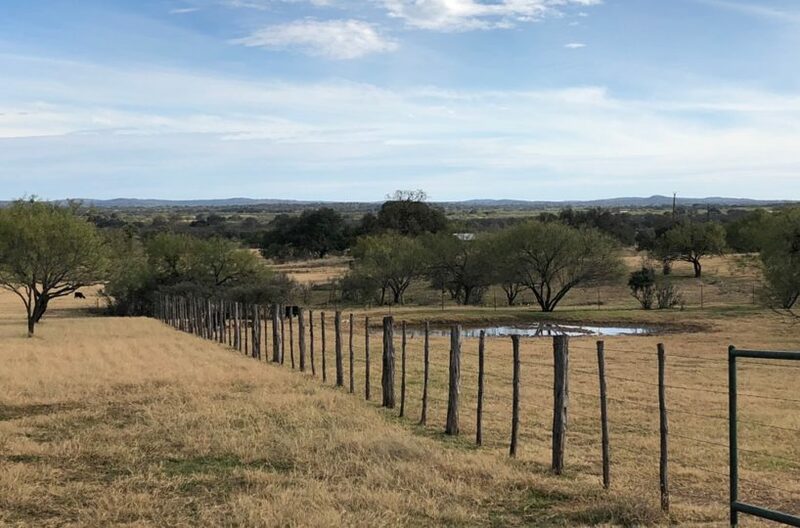 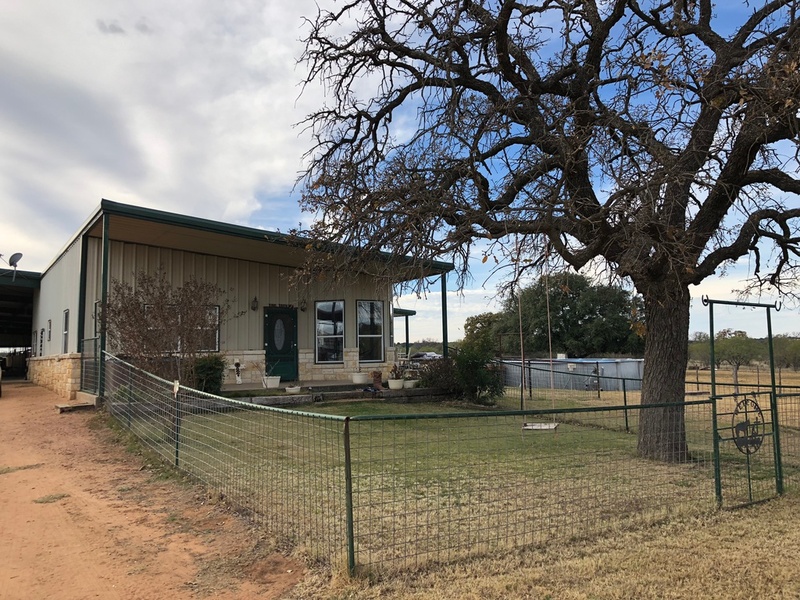 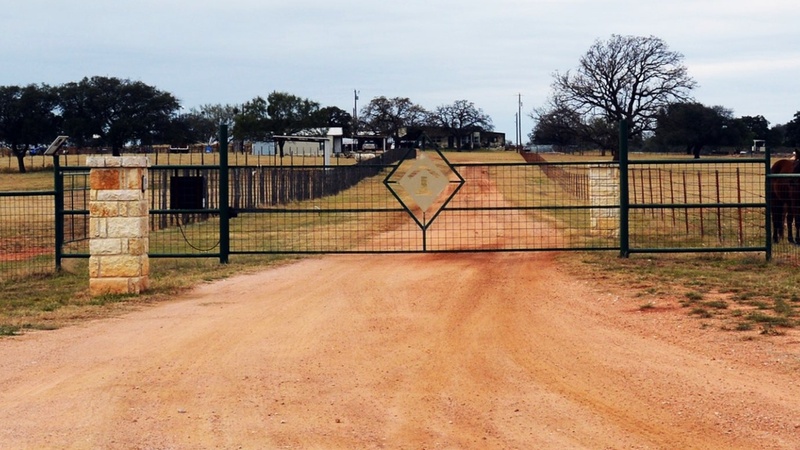 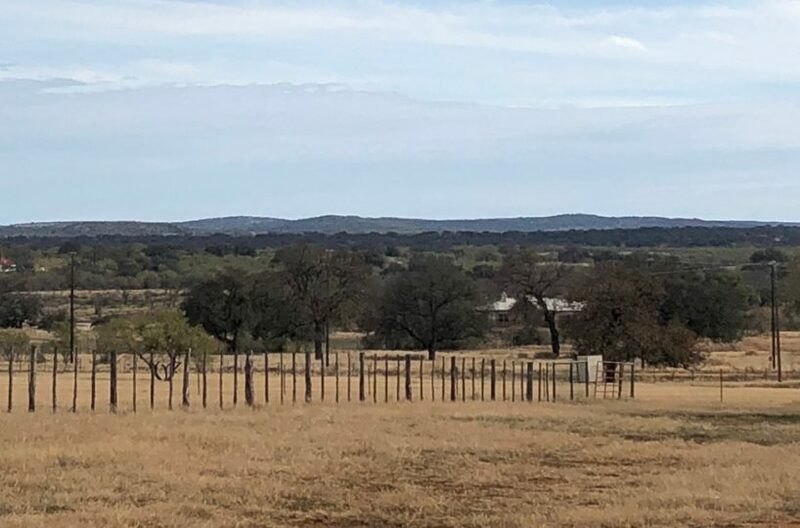 This Amazing Equine Property that has stunning views of the Texas Hill Country located 10 miles west of the small charming town of Llano. 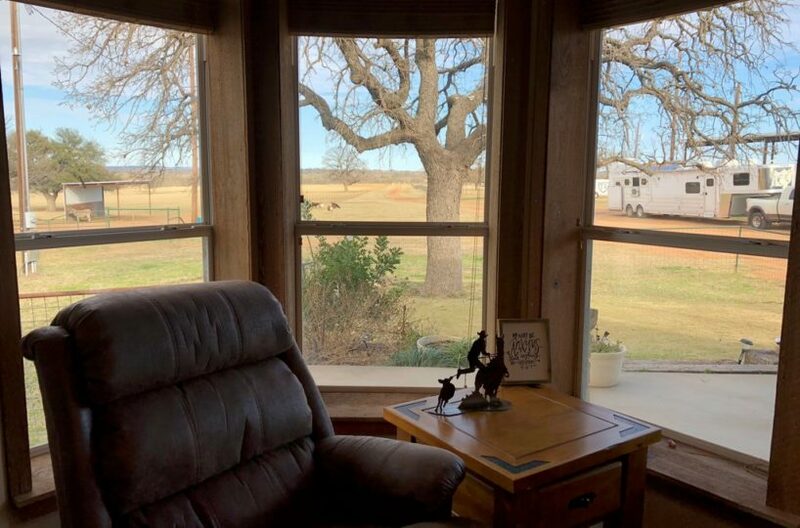 The Property is truly a horseman’s dream as it contains great pastures all in Coastal Bermuda Grass and Shelters. 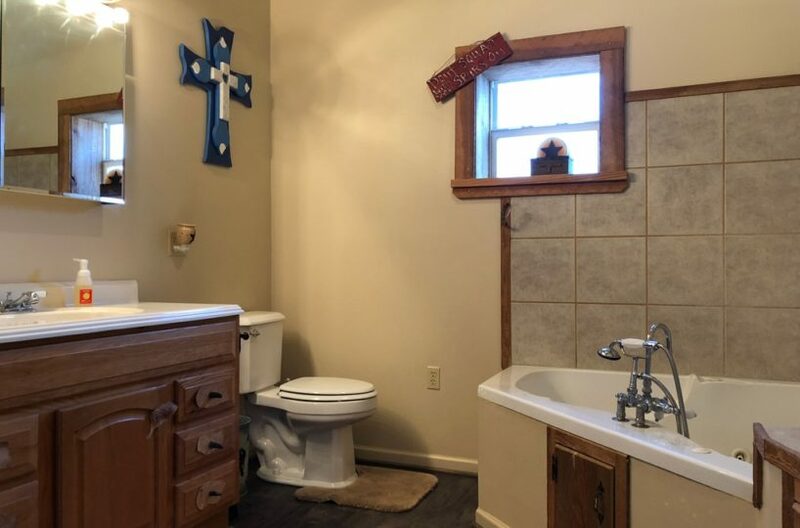 This Property Boasts a 55 GPM Well. 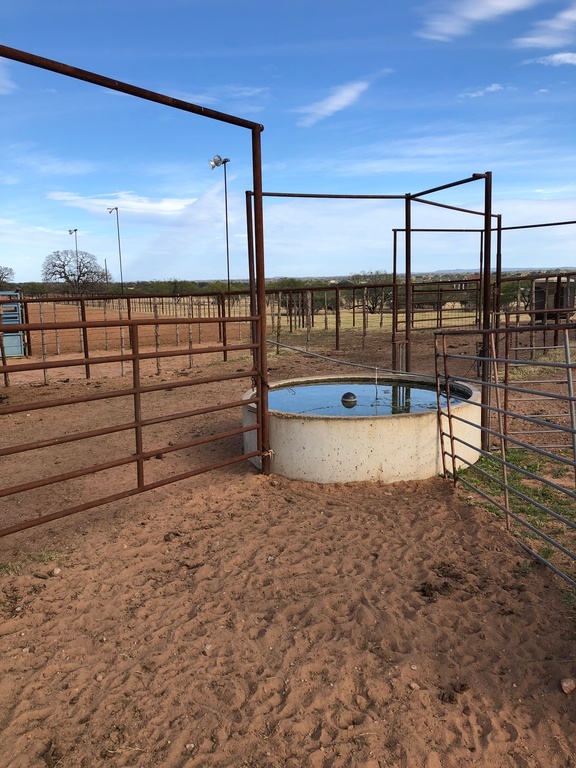 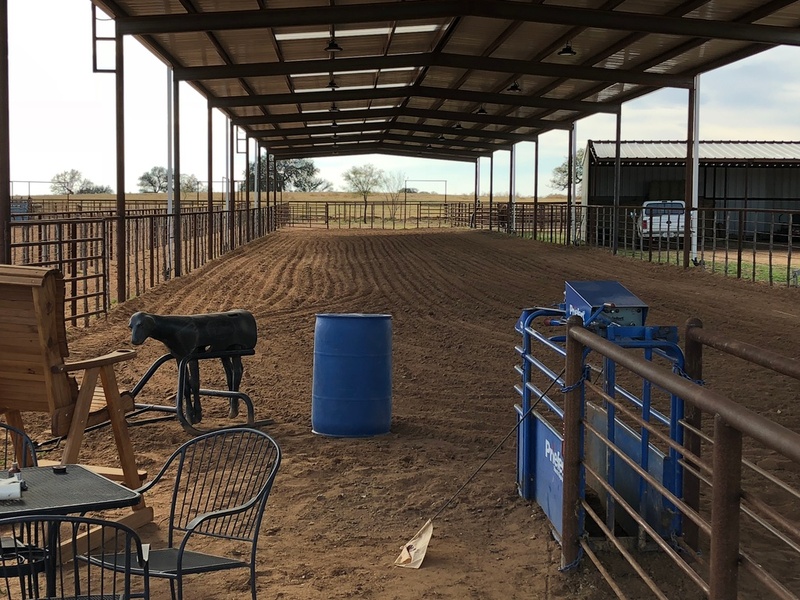 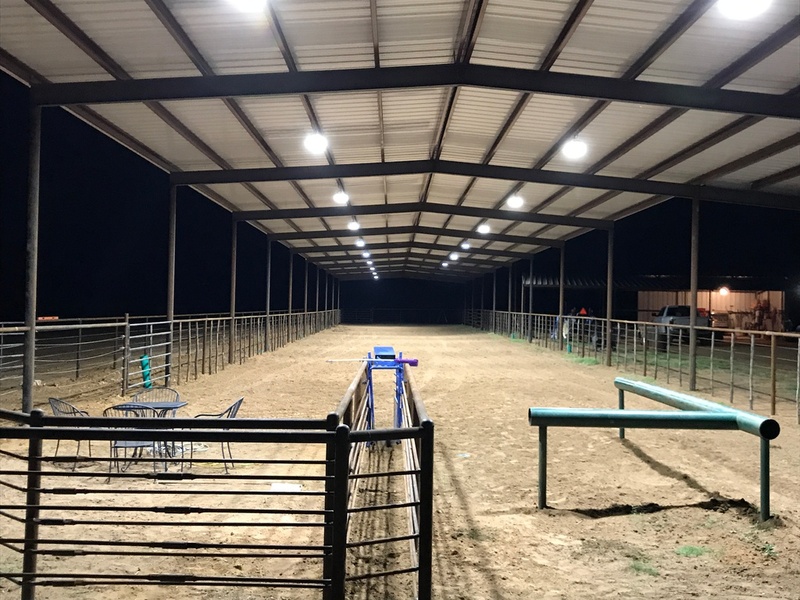 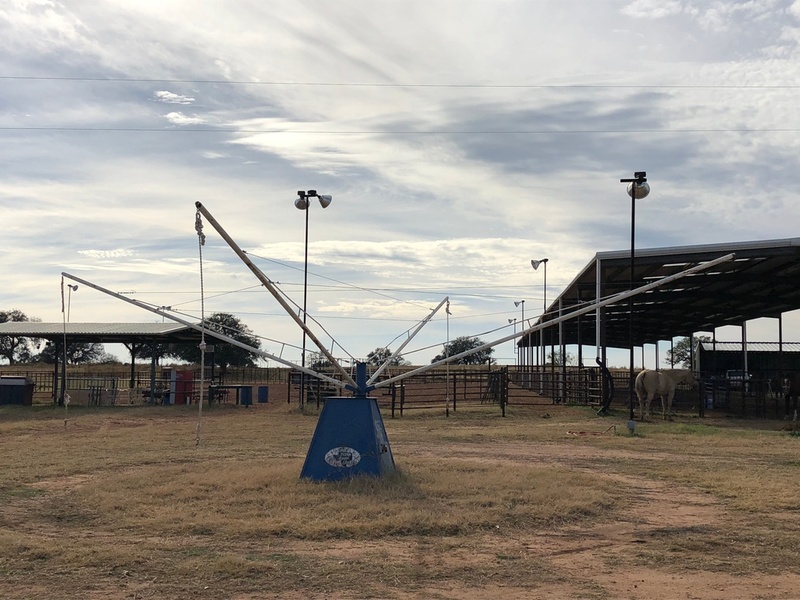 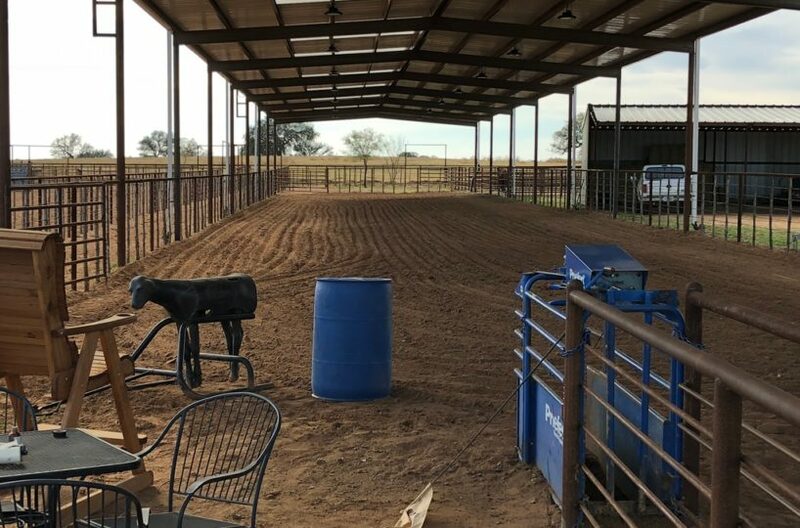 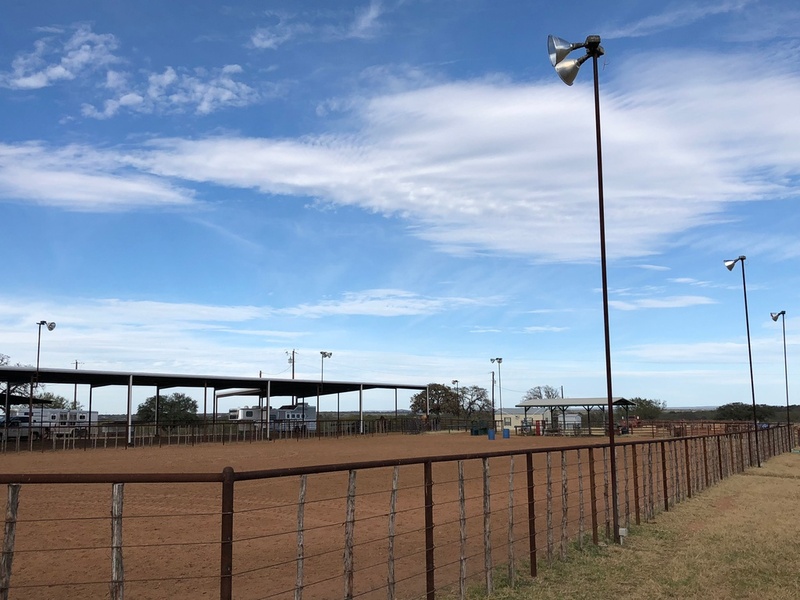 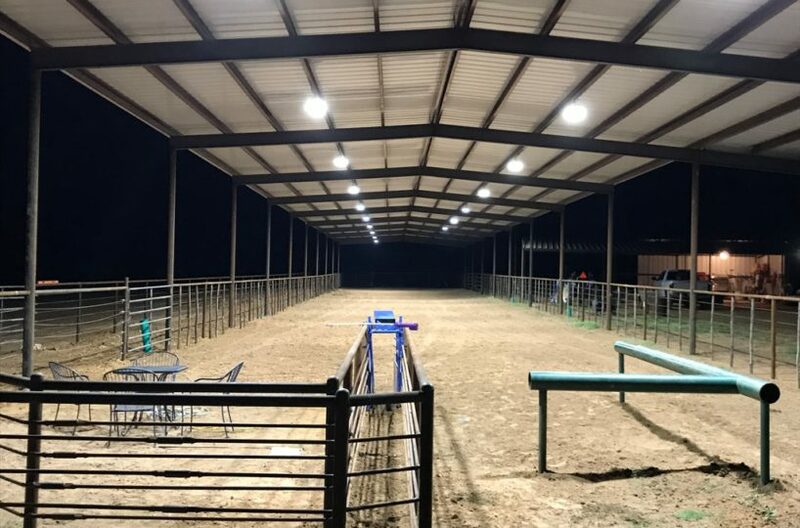 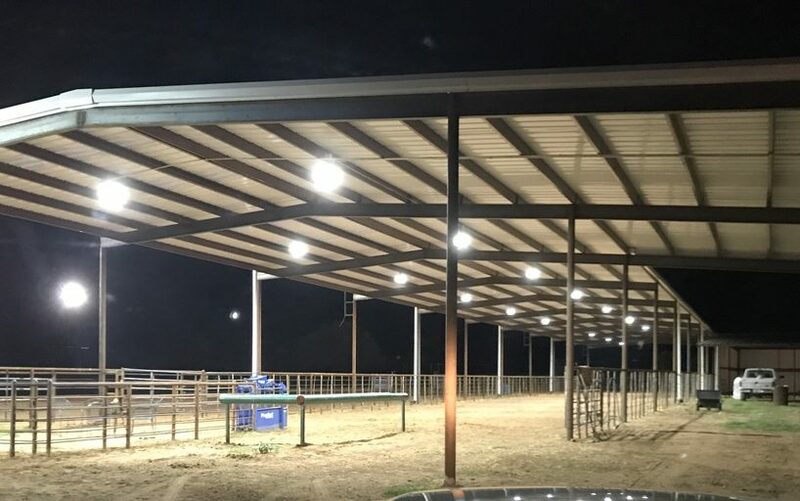 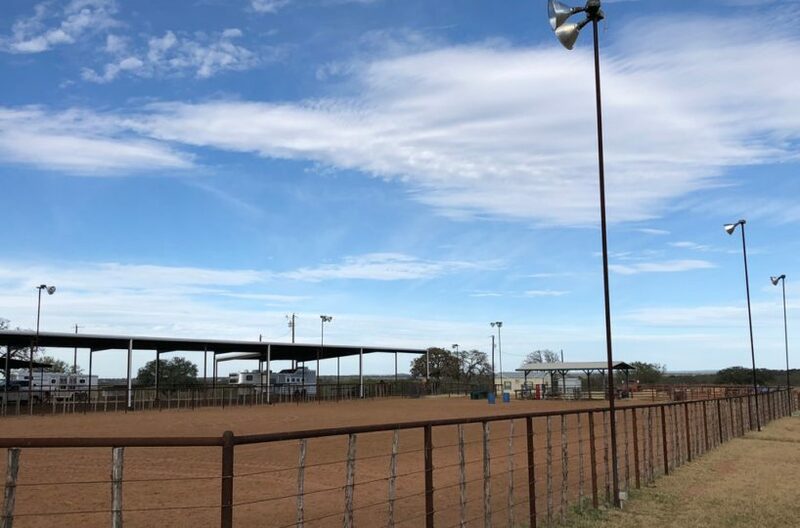 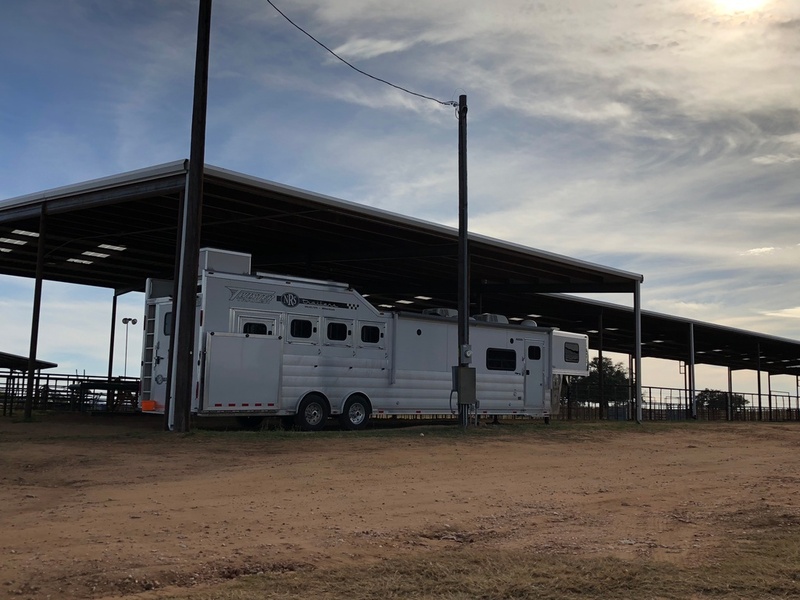 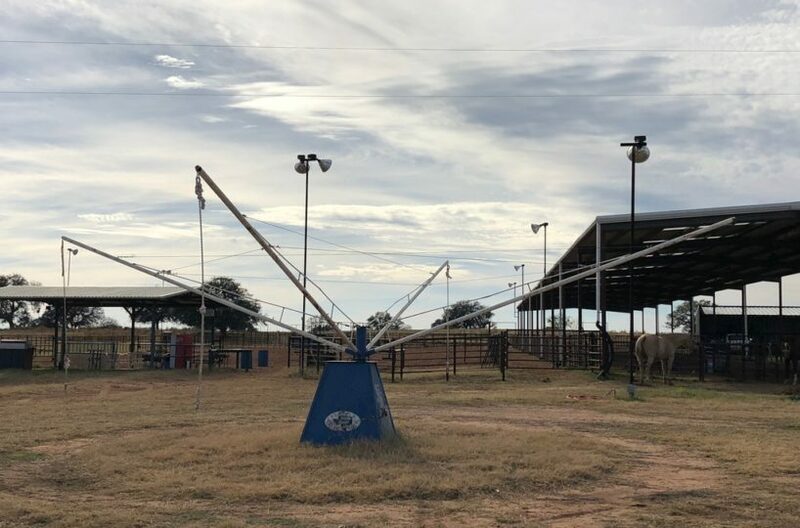 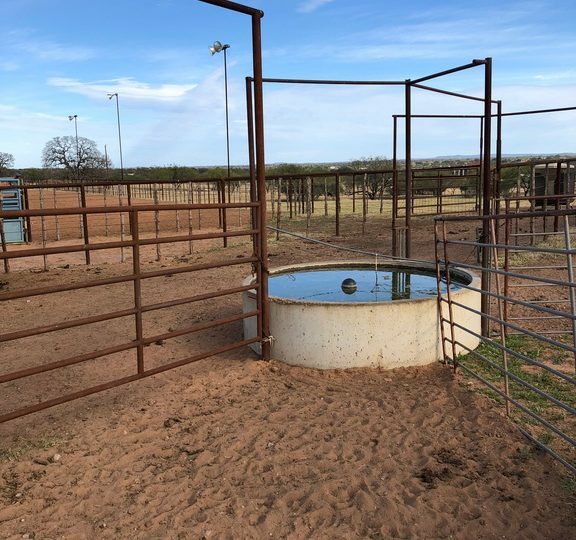 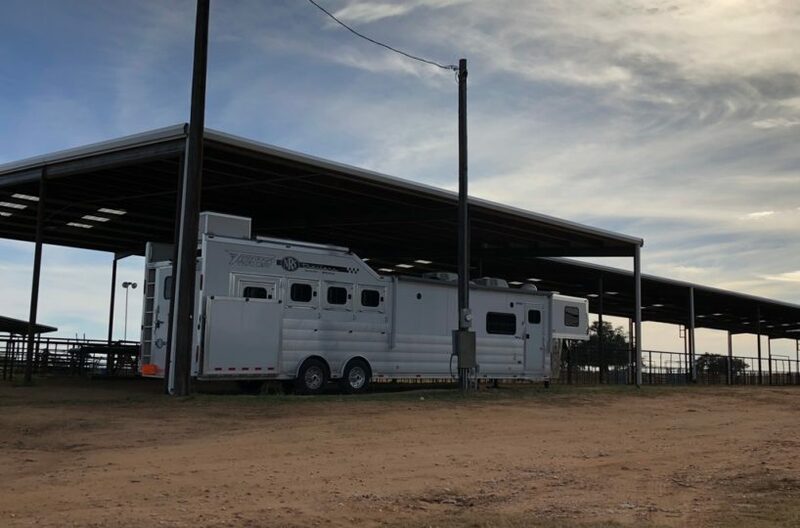 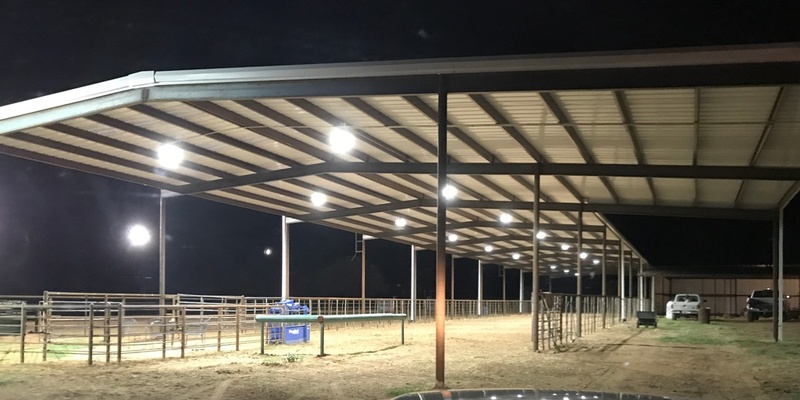 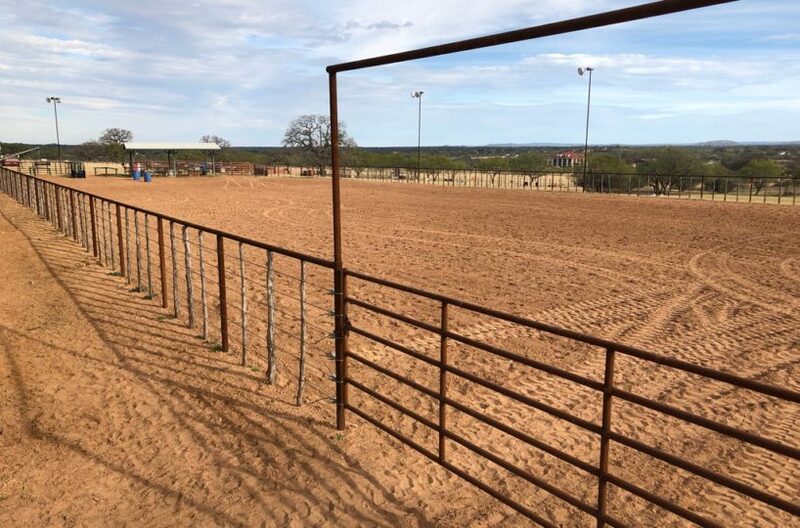 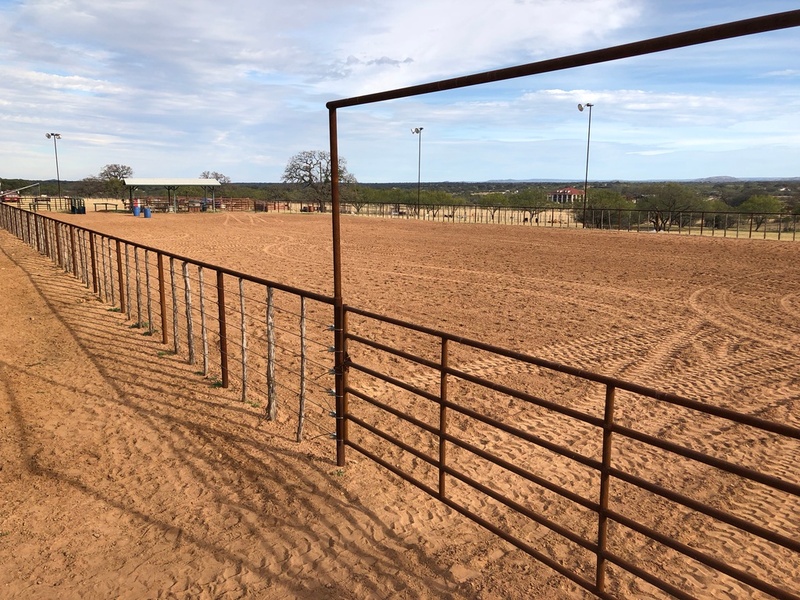 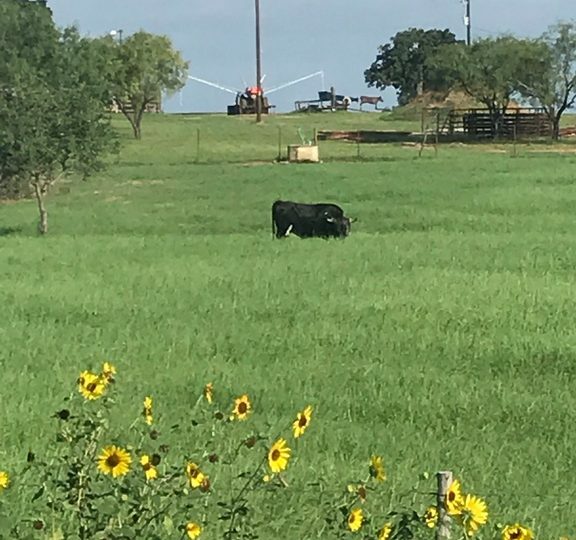 A 40×260 Covered Roping Arena with LED Lighting, an adjoining 125×260 Lighted Outdoor Roping Arena with Bucking Chutes, this ground was professionally rock picked by Rock Be Gone for some amazing ground, these Arenas were just recently built in June 2018. 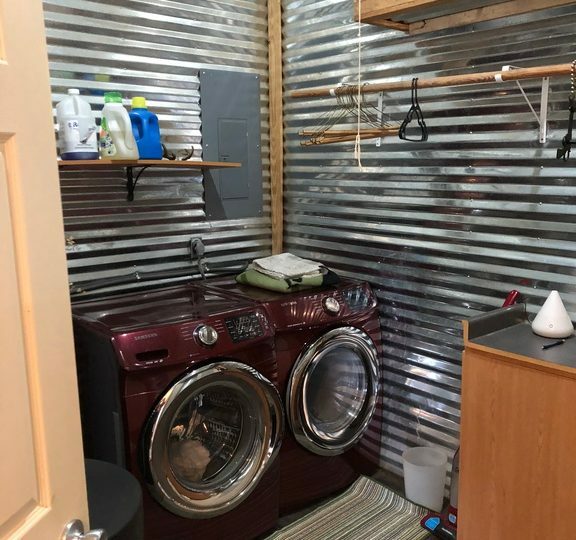 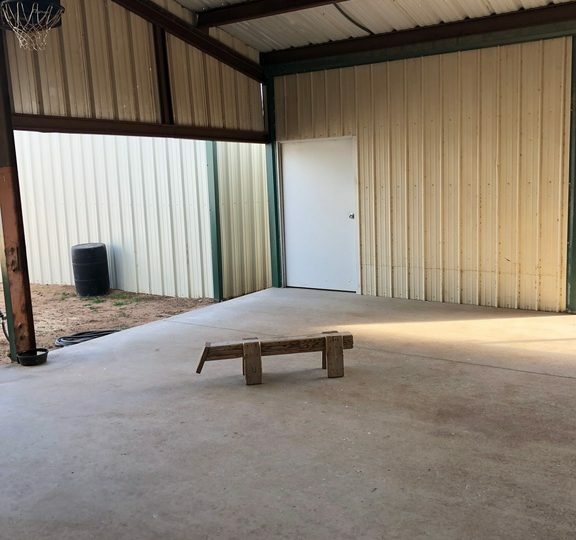 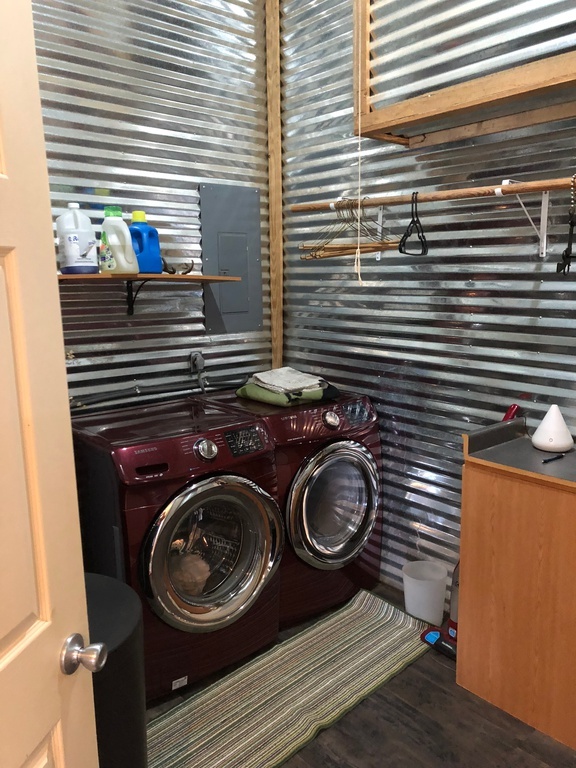 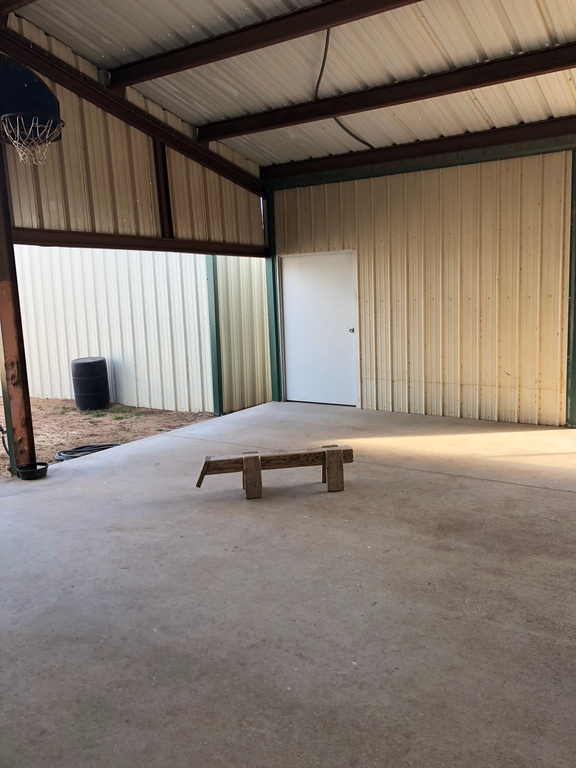 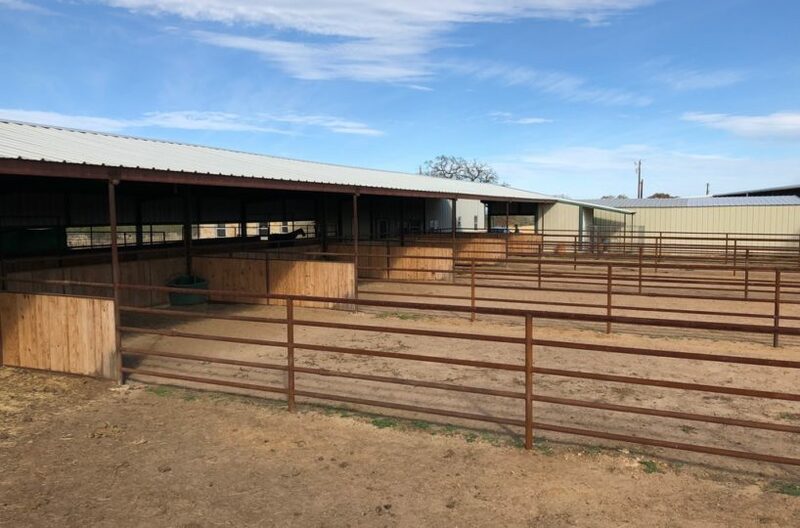 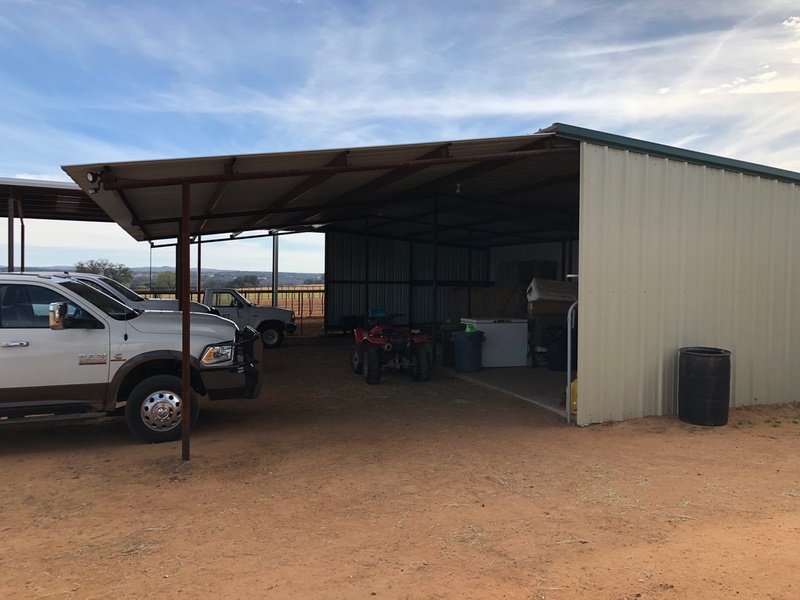 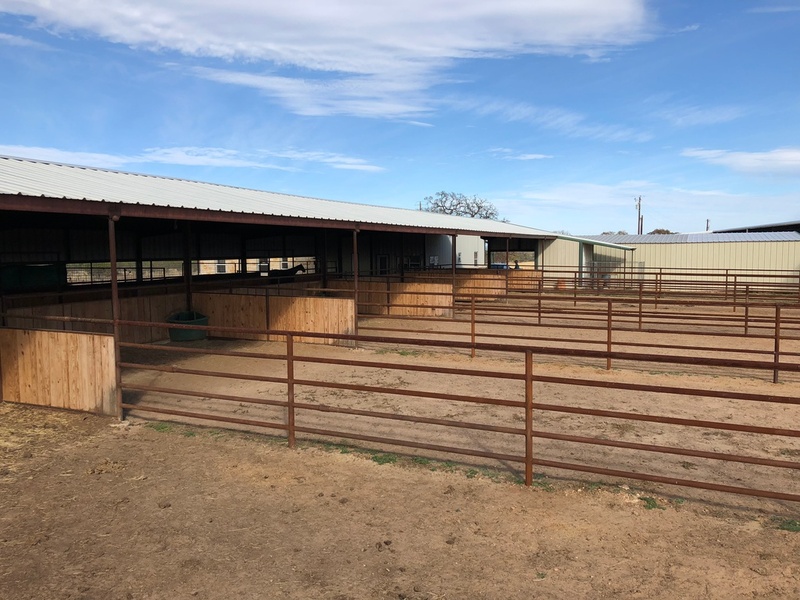 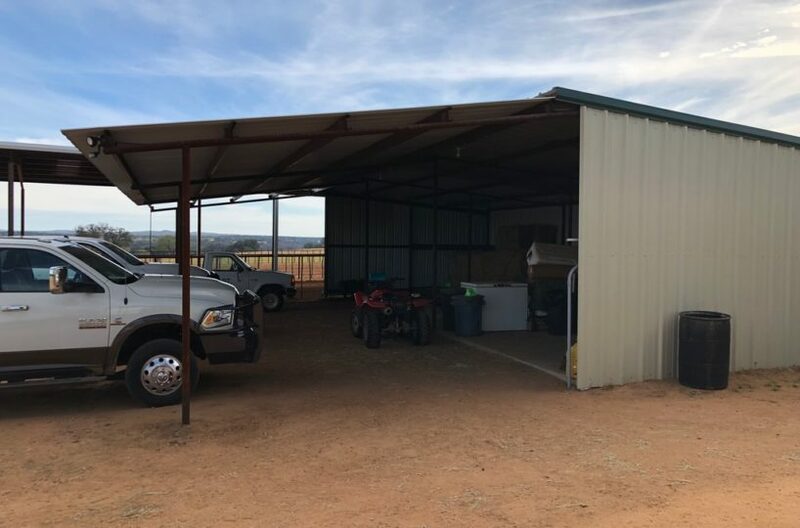 The Barn is 50×125 and has 5- 20×20 Stalls, 5- 25×75 partially covered runs, these are all 5 rail pipe and wood slatted with a wide concrete alley. 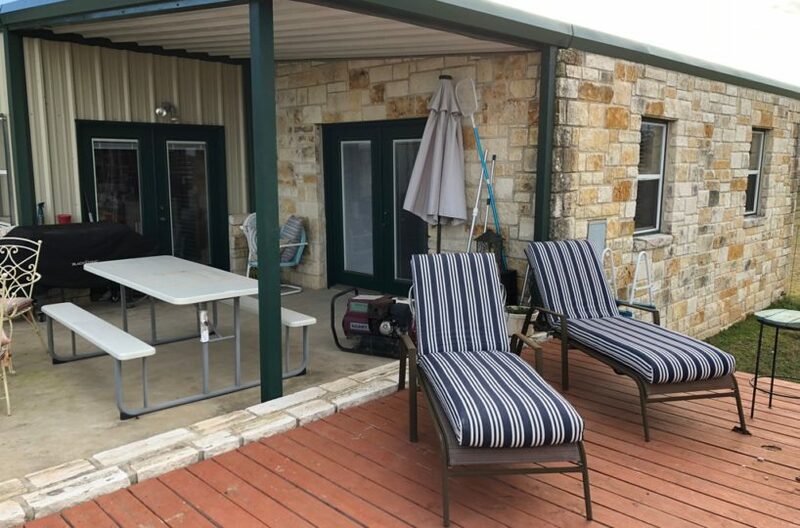 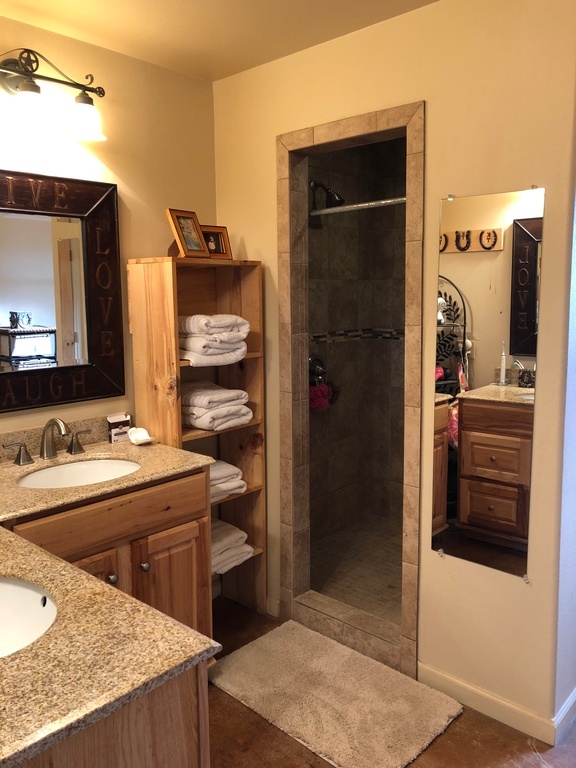 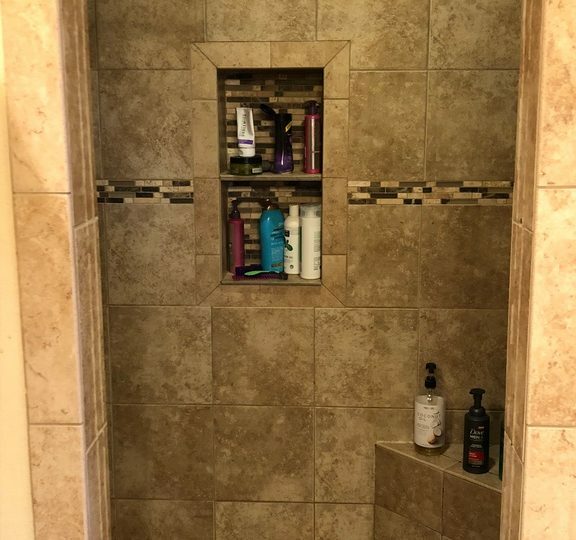 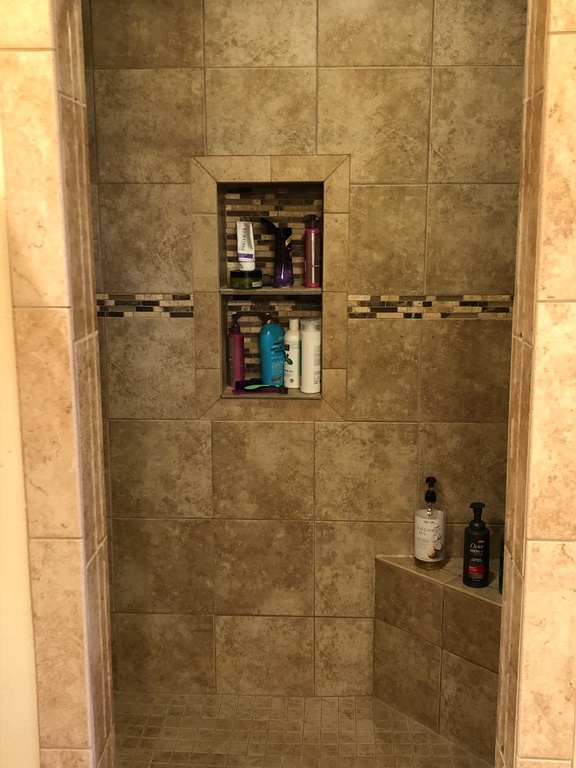 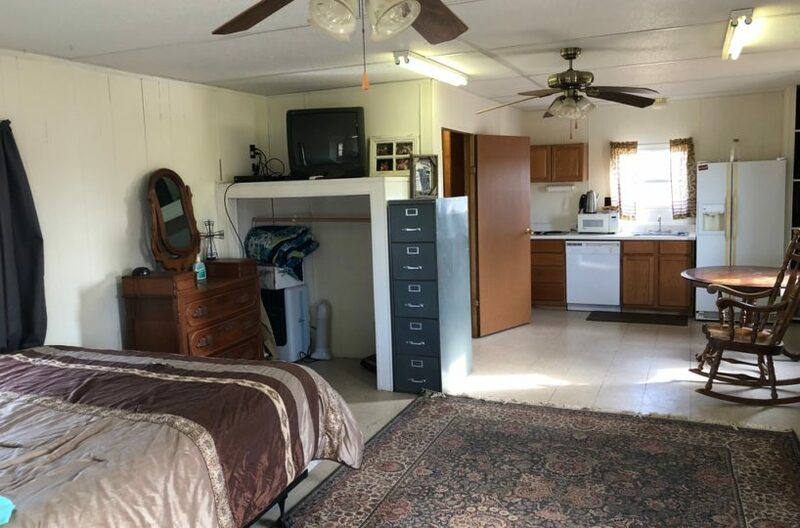 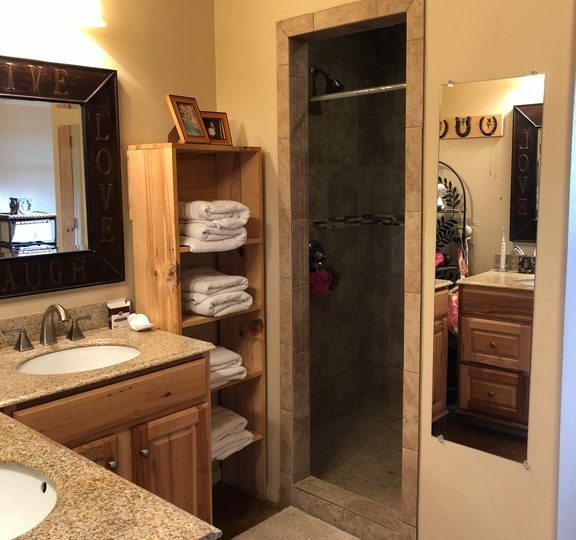 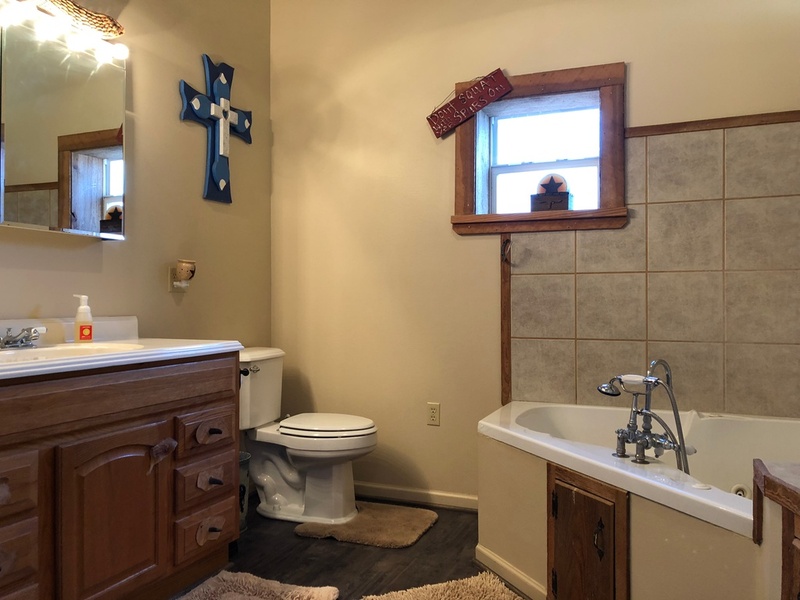 The Main House is 1,700 sqft and consists of 2bd, 3bath, office, laundry room, kitchen and living room open concept. 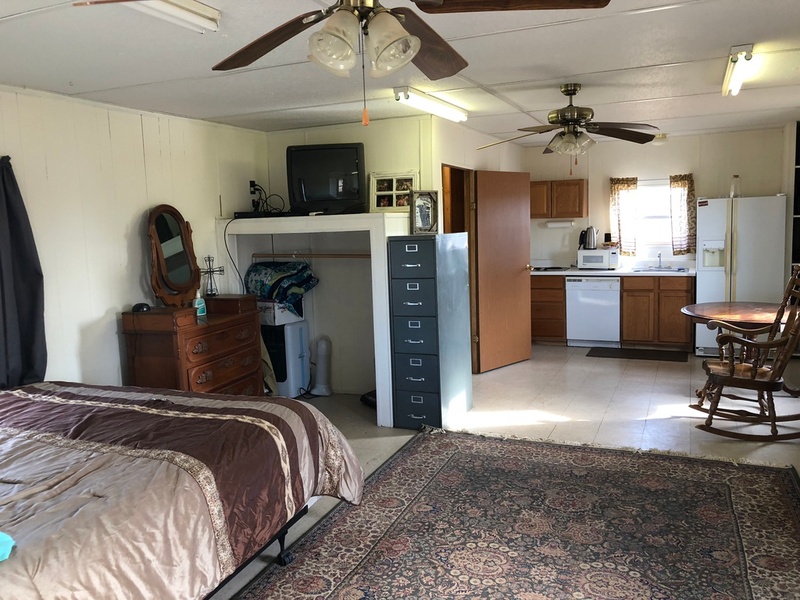 Guest House is 500 sqft full living quarters. 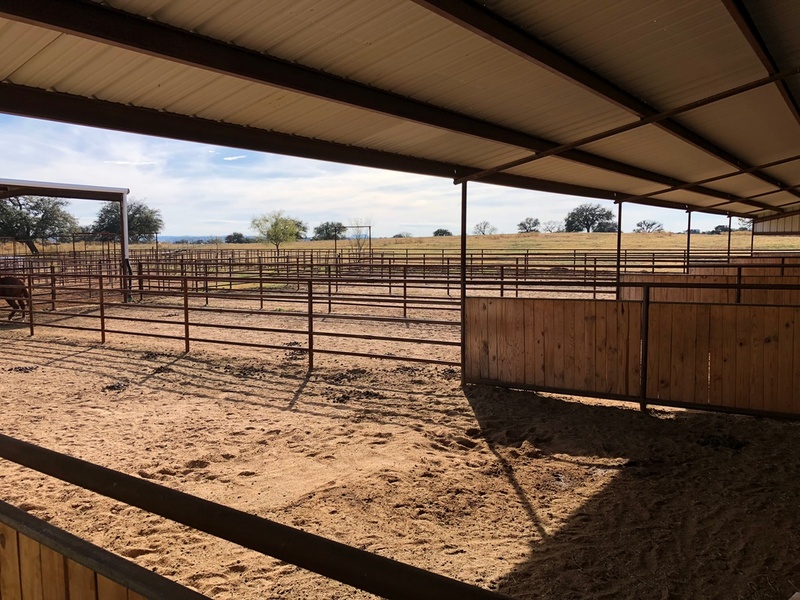 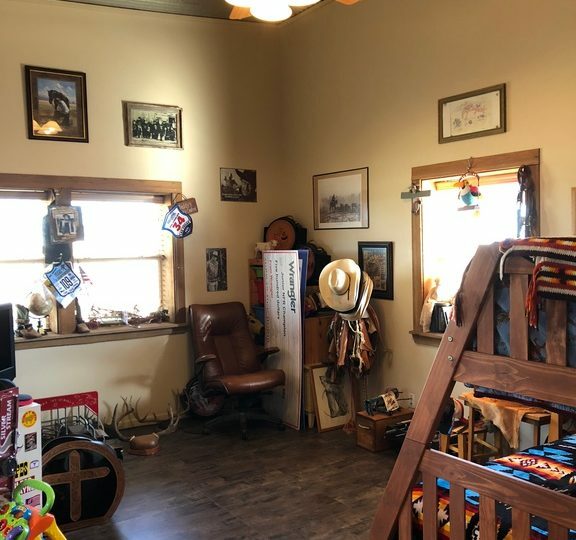 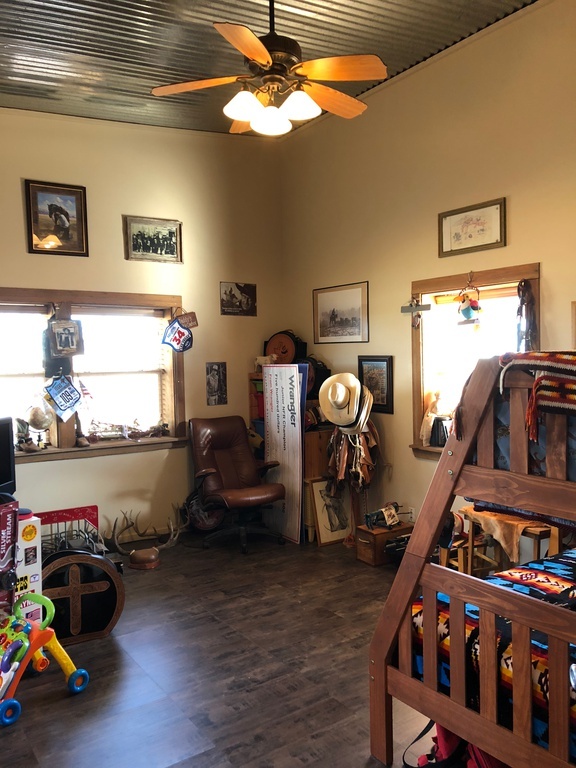 Numerous pens, sheds, hay barn/ shop area, horse walker and many other details to see. 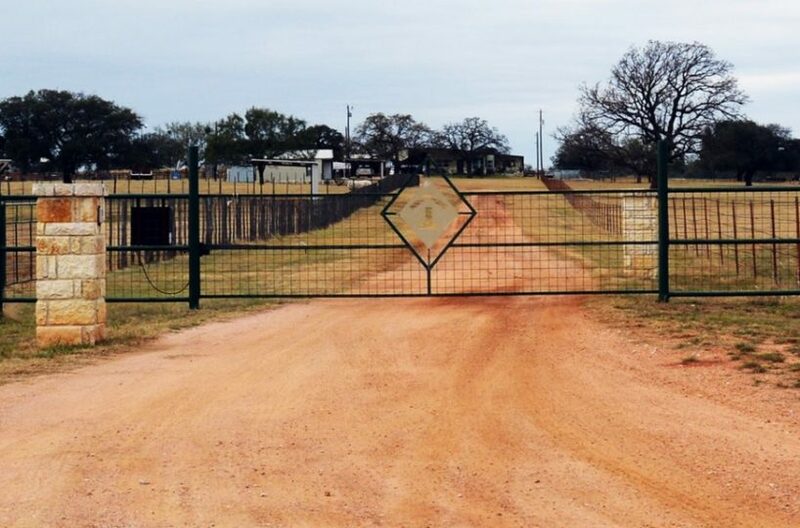 Great Fences throughout the whole Property.